Listen I know what you are asking yourself, “Why is Alby putting out a list of the best TV Shows of 2018 on February 2nd of 2019”. Then you ponder into the void “Could he have forgotten all this time?” or “Is he just that lazy?”. All of these answers may very well be true, but the important thing is that the list has finally arrived. To preface this list I should let you know that I watch a lot of television last year, a almost unhealthy amount. If I don’t talk about the shows I watch then I might actually explode from the volume of thoughts I had on them. Without further ado here is my list of the best television shows of 2018. I know binge watching is how many people watch their shows today, but I have never been a big fan of it. I find it much more enjoyable to watch one or two episodes a night, a slow drip if you will. I was however, snowed in one day in November and decided to try to find something to watch on Netflix. 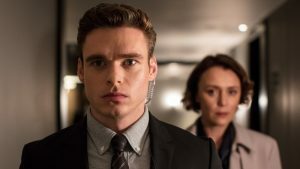 It took me all of one episode to become totally hooked on Bodyguard. It is a show that redefines the meaning of edge of your seat. The basic plot is that a police officer after heroically saving a train gets assigned to be a bodyguard for a home secretary whose politics represent everything he hates. It has some truly amazing character work that few other shows even attempt. Raw is not a word that I use much to describe media, but this story is that in spades. Richard Madden puts on a clinic as David Budd the protagonist who, much like Jack Bauer in 24, is put through a hell that just won’t end. You can feel David’s psyche breaking as he stands in the middle of this firestorm consuming his life and the life of the characters in the show. David is a character broken from the beginning and you watch in horror to see how far he can be pushed before breaking by the events of the show. The only piece that prevents this show from being much higher on the list is the ending is almost comically ridiculous. Even with a bad ending the show does everything else right and more than earn it’s spot on this list. The Expanse really snuck up on me this year. In 2015 I watched all of the fist season, but for some reason I quickly dropped off the show. A lot of the cancellation talk drew me back to the show and I feel in love with it in a big beautiful way. 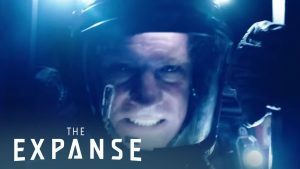 The Expanse has always had great characters and a interesting story, but many of the pieces were distant from each other through much of season 1 and 2. The third season however, finally brings those pieces smashing together creating a wonderful chaos that heightens every second of the run time. Shohreh Aghdashloo continues to steal every scene she is in and has quickly become one of my favorite actresses working in television today. Steven Strait had some great moments this season and Frankie Adams has been adding a lot to the show throughout her time on it. I’m truly excited to see where The Expanse goes from here with many possible avenues for fun and creative stories. That what separates the Expanse from many other shows it is a creative playground of new ideas. That should always be the bread and butter of science fiction the sense of mystery at what the story will unearth during the next episode. I’m very glad that The Expanse will get to keep telling it’s story on Amazon as it is truly one worth telling. It’s a simple concept really, two parallel worlds divided by a gateway trying to spy on each other. It’s in many ways a story about West and East Berlin and how a person on one side can grow up totally different than someone on the other side. What makes this show so effective is the total commitment to that central concept of this difference. J. K. Simmons blew me away with his acting in this show. I will admit I’m a sucker for anytime a actor plays essentially the same character with two different personalities. 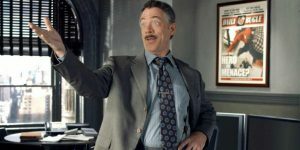 However, even with that said what J. K. Simmons is able to do with his portrayal is amazing It is a really intense ride from start to finish that at least for me left me guessing what was going to happen next after each episode. It is able to establish what you think a character is going to do in a given situation and then they will subvert that expectation leaving you wondering if you really knew the characters at all. As someone that can usually guess which way a plot for a show will go I really enjoy not knowing what will happen next in a show like this. Counterpart does just about everything it tries to do spot on and deserves to be on a lot more end of the year lists than it is. Can I just talk about episode six of the second season of Atlanta for a second? 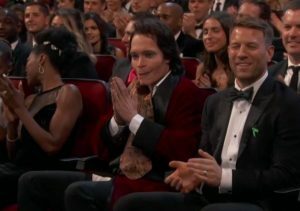 It’s the one with Teddy Perkins who might have had a moment at the Emmys invites Darius to purchase from him a piano. 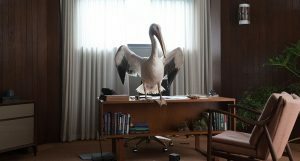 What follows is one of the most strange and macabre episode of TV that i have ever seen. Donald Glover often describes Atlanta as “Twin Peaks’ With Rappers”, but until this episode I didn’t feel it. This episode might be one of my favorite episodes of 2018. It’s weird and strange, but also utterly enthralling from start to finish. I enjoyed season one of Atlanta well enough, but when I look back it probably would not have made a list like this if I had written one in 2016. Atlanta season two is a season of TV that just does everything better and in a weird way makes you care about the characters. 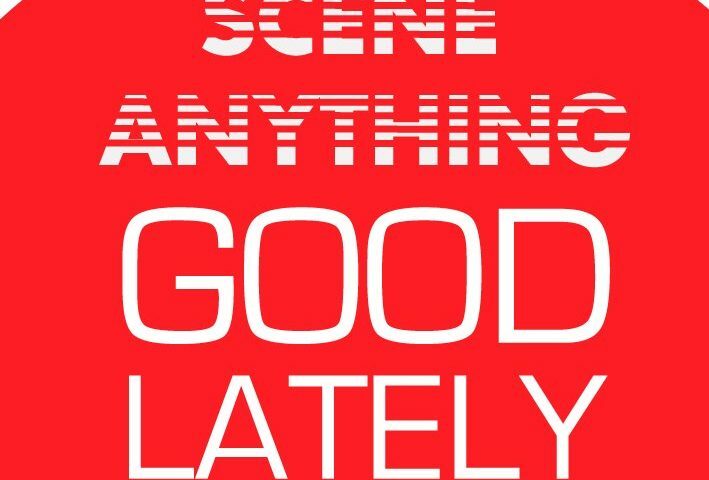 If you listen to Scene Anything Good Lately you know that I largely have a blind spot for comedy. This is one of the only shows that really made me laugh this season. I think that is because I felt like the characters in Atlanta were real people I could meet on the street and have a conversation with. When those characters got into crazy situation like in episode six or episode eight I felt a real connection to them as people. I don’t think there is much higher praise in my book for such a show. Season 3 of Daredevil found itself in a weird place after it’s release. Many people where to consumed with the cancellations of many of the Netflix shows to notice perhaps the best Netflix marvel show hitting. 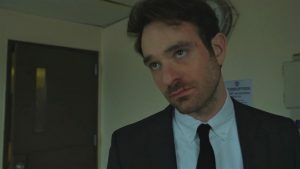 Charlie Cox in season 3 got the chance to show off his acting chops much more than in the other seasons. The show is better for it as it feels much more in line w ith the comic book character of Daredevil. D’Onofrio continues to be the best Wilson Fisk the world may ever know. He is able to embody a complex caring sociopath better than anyone i can think of in recent years. Outside of letting the great actors of the show breath more the fight scenes are back with a vengeance exceeding all of my expectations. The prison scene in particular is one of the most well done fight scenes I have ever seen . Daredevil focus on what it is good at and goes back to it’s strengths while extending the formula in some very thought provoking ways. It really feels like they have been tinkering with the Daredevil formula for the last two-ish years and finally got the levels right. What I’m saying is that finally Daredevil has the correct amount of brooding to tension. I have always been a bigger fan of Agents of Shield than any of the Marvel stuff , but I will say I was really crushed when Daredevil got cancelled as it was finally starting to approach true greatness. Daredevil season 3 would have been the metric by which all other seasons of Netflix shows would be judged and it’s a shame that it never will get the chance to be that. I knew nothing about Homecoming going into to it. The trailers for the show basically kept me in the dark until I hit play. It has become increasing come in shows today to have events out of order. Few however, are able to nail the landing of bringing that build up to a exciting conclusion. Homecoming is about a secret research facility testing a new drug on Veterans dealing with PTSD. To say more than that would ruin the suspense and surprises this show has for the viewer. I will be honest I connected with the show in part because of that central idea of dealing with painful memories of your past. What made me love the show was the mystery of what actually happened to the characters during their stay at the facility. I’m nothing is not a fan of a good mystery. Homecoming is a slow burn and I get for some people that might be a turn off, but wow is that emotional payoff worth it.I watched this over a probably two week span and I was a mess of emotions by the end of that second week..At first I was not a fan of the sudo romance in this show, but it is to it’s credit that by the end I wanted nothing else than a sappy happy ending for the two leads. I don’t know where they found this “Julia Roberts” at , but she seems like she might have a bright future in television. In all seriousness Julia Roberts is incredible in this show as you would expect the other lead Stephan James though really surprised me as someone who had not seen many of the movies he is in. Homecoming has plenty of tense moments, weird moments, and funny moments that make it such a enjoyable watch from start to finish. The more If you stick with it this is a show that rewards you watching it and I highly recommend you do. This is the second show on my list that I started watching because it was being cancelled. I was really hesitant for a long time to pick up the Good Place. I was worried it was another Touched by an Angel or God friended Me a pseudo religious show with maybe a little half hearted humor for good measure. The Good Place is anything, but those things. It is a incredibly smartly written show that takes the kinds of risks that I want out of my television in 2018. As I have said before I’m not a humor guy, but when a show makes me laugh I think that is a good sign of the quality of the work put into it. It is hard in 2018 to find shows that aren’t bleak and dark. Sometimes I just want to watch something warm and light with my father after a long day at work. The Good Place fits that category, but gave me much more in its complexity. Often these types of warm happy shows end up being as deep as a puddle, but the Good Place in it’s wonderful writing and acting is able to provide the kind of depth that a story junkie like me yearns for. 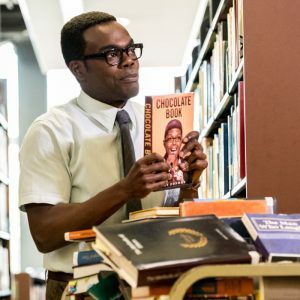 Some of the subjects that the Good Place touch on are deep philosophy questions about what is good and bad, what do we owe other people, and what do we owe ourselves. We have talked about our love for the Good Place on Scene Anything Good Lately and the year Zach and me had coming to the show in our own ways. For me that is what is special about the Good Place it has something for everyone that watches it which is something very few shows can say. Everyday I’m thankful for how often I find television shows that feel almost catered to my tastes. Maniac is unfair in how amazing it is at damn near everything it tries to do. I mean they are able in this show to do a 1980s inspired episode followed by a 1920s spiritualist episode followed by a set piece where one character is a mob enforcer and the other is a elf ranger. It is able to balance a huge amount of different characters and set pieces flawlessly. One of the things that impressed me the most is how they seamlessly blend the science fiction with the normal and everyday. 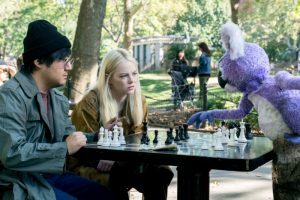 It feels as normal as a stroll in a park to see a purple monkey thing playing chess in this show. How do you do that I’m honestly asking as another writer. I mean that is just unfair storytelling and directing. Jonah Hill and Emma Stone are ridiculously good in this show which is no small feat when you have to act in some many different settings. It not just the visual or the acting this story has some real heart and a lot to say about the ways in which modern people deal with their flaws and failings. Maniac is a stunning example of what a TV show can be in 2018. If you wanted to teach a class on what is possible in TV this would be a excellent starting show to present. It remarkable in it’s ability to be flexible while maintaining a easy to understand structure that never felt confusing or disjointed. I want more of this show and I want to see more of the projects this creative team tackles because they just get how to make something truly compelling and remarkable. Who could have ever imagined that a YouTube television show would end up being one of the best shows of the year. I’m not even a big karate kid fan and I was over the moon watching this show. It both honors the subject matter it is based on while changing it deeply into something far more complex. Turning Johnny Lawrence into a misunderstood hero works better than it has any right to. William Zabka after this performance, deserves to be in way more leading roles. He is able to portray a the grow of his character from a washed up drunk to a respected teacher in a new and refreshing way that was a joy to watch. I mean really why is he not starring in more he certainly has the chops along with a laundry list of solid work. It’s not just Mr. Zabka that acts his pants off for this show the titular karate kid Ralph Macchio, his daughter Courtney Henggeler, Xolo Maridueña the new student, all stand out It’s a credit to the produces that they were able to get such great performances from all of the young actors and actresses. It not a easy feat to do that and make it feel like they are really kids living today without falling into a lot of the same stereotypical traps of the millennials generation. A show like this runs the risk of falling into the corny arena when dealing with younger actors and actresses. 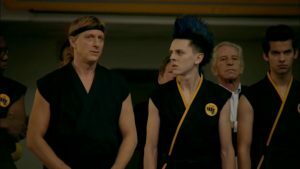 Cobra Kai is able to preserve it’s serious nature even with young characters named things like Hawk, who has a mohawk I will let you figure out the connection. It such a delight to find a show that respects the source materials, but then makes a conscious choice to do something different and maybe take some risks in shaking it up. I can name on one hand the amount of these new remakes of classic properties that I have enjoyed as much as the originals. The list is even smaller for those remakes that do their part in making the entire property better. Cobra Kai is a rare breed of show indeed. The minute i started watching Haunting of Hill House I knew I found something truly special. I don’t particularly like horror as a genre. I’m a scaredy–cat you see who can’t deal with being scared or I will be awake at night hiding from shadows in my bedroom. 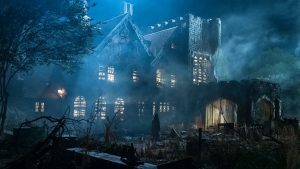 The special thing about Hill House is that it is on its face a horror movies about a haunted house underneath that however, is a story about grief, isolation, and ultimately about loss. Horror movies are rarely ever concerned with relaying a message beyond spooky things are going to get you.Hill House is able to put heart into horror in a way that everyone is going to try to copy in the coming years.This is not to say there is not horror in Hill House. The director use depth of shot to a extraordinary degree playing tricks on your eyes. You will ask “Is that a ghost in the background for one second or was that just a vase” at least one hundred times. It’s not about jump scares with Hill House it’s about the slow creeping dread of footsteps coming closer to the door. This type of horror has always appealed more to me then the gore or jump scares prevalent in today’s horror media. The sixth episode of Hill House is a feat of skilled film making. With unbroken shots following the characters through the present and seamlessly into Hill House it bridges the the two separate plot lines of past and present into something that feels more akin to a big budget movie than a Netflix show. All of the acting in the show is incredibly well done making this episode even more emotionally potent. 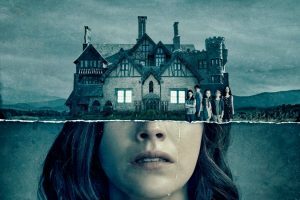 Hill House never wastes a moment of it’s run time or your time it has something either for your eyes or your heart throughout all of it’s episodes. I have mentioned previously how impressed I’m with any show that is able to get great performances from it child stars. The thing about hill house is that every kid on this show actually has some really memorable moments. I would also like to note Oliver Jackson-Cohen who gives a heartbreaking performance of a Luke Crain dealing with his addiction and trauma. I think the best case I can give for how great the performances are in this show for those who have not watched it is I did not know that the young father was played by a different actor than the father in the present. It is that good folks I mean I really had no idea. Connections lie at the core of everything The Haunting of Hill House is trying to do. Connections between people; connections between places; connections between family; these are all the stock and trade of the show. I loved Hill House because it connected with me, with everything i want from a show. There are many many moments I now look back on with such affection and I cherish the memories of watching this show. You could even say I’m still haunted by hill house. What? OK! fine that is a pretty cheesy line. Instead I want you to reflect on this that as I mentioned in the first paragraph I’m not a horror fan, but yet Haunting of Hill House was my favorite television show of the year. I think that says it all.